People know and love Mrs. Dash . . . it’s the #1 salt-free seasoning! Use its perfect blend of herbs and spices to add delicious flavor to countless foods without contributing any salt or MSG. Mrs. 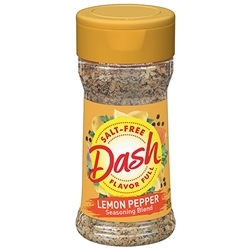 Dash Lemon Pepper Blend is perfect for breakfast, lunch and dinner. 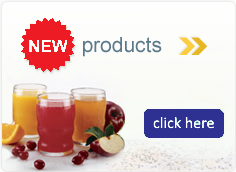 Adds flavor and color to pasta, pork, vegetables, fish, shellfish, salads and dips. The 21 oz. shaker bottle is ideal for use at back-of-house. Ingredients: Onion, Spices, (Black Pepper, Basil, Oregano, Celery Seed, Bay, Savory, Thyme, Cayenne Pepper, Coriander, Cumin, Mustard, Rosemary), Garlic, Lemon Juice Powder, Carrot, Citric Acid, Lemon Peel, Natural Lemon Flavor, Oil of Lemon, Turmeric Color, Chili Pepper.